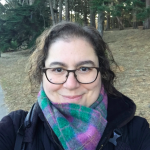 After five years as the principal of Carrie Rice Consulting, Carrie has recently decided to return to the non-profit sector as a full-time senior staff member in the San Francisco Bay Area. She hopes to bring tech-forward solutions to whatever organization she ends up joining! After earning a master’s degree in public policy at The George Washington University, Carrie began working with nonprofits, planting the seeds of her management philosophy. She prides herself on improving the fundraising, efficiency, and longevity of nonprofits. Simply put, she helps nonprofits foster progress and loyalty through treating staff, board members, and donors with the same empathy that they feel toward the causes they care about.